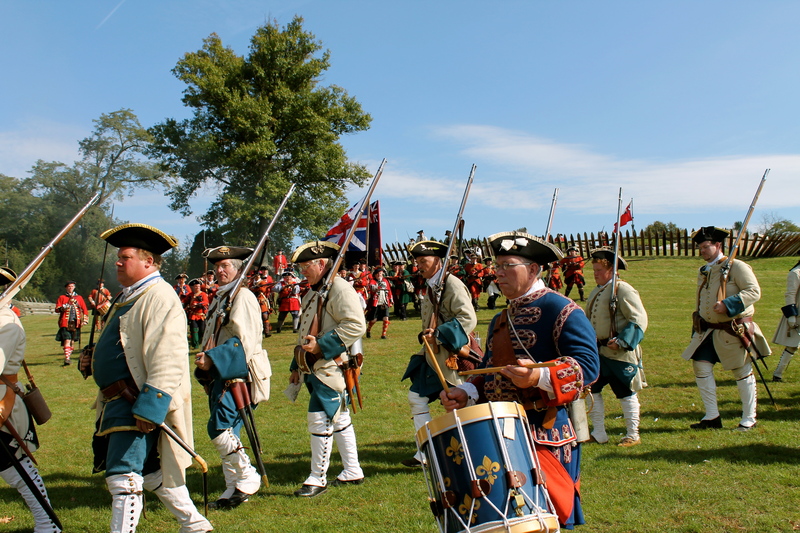 Dramatic battle reenactments, artillery demonstrations, and reenactors (Sat. & Sun.) to commemorate the pivotal October 12, 1758 French and Indian War Battle at Fort Ligonier. See the historic battle that made Pittsburgh possible! Meet more than 175 British, French, and Native American Indian troops encamped throughout the Fort. Click below for more information on reenactment times. Click below for more information on the Fort Ligonier Days Festival. NEW! See Justin Cherry of Half Crown Bakehouse and his 18th century clay oven on the front lawn of the museum during Fort Ligonier Days. Click below to visit his Facebook page.